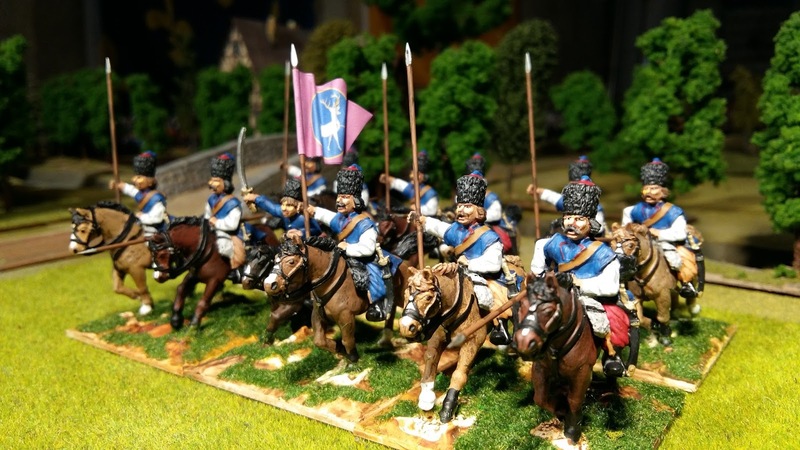 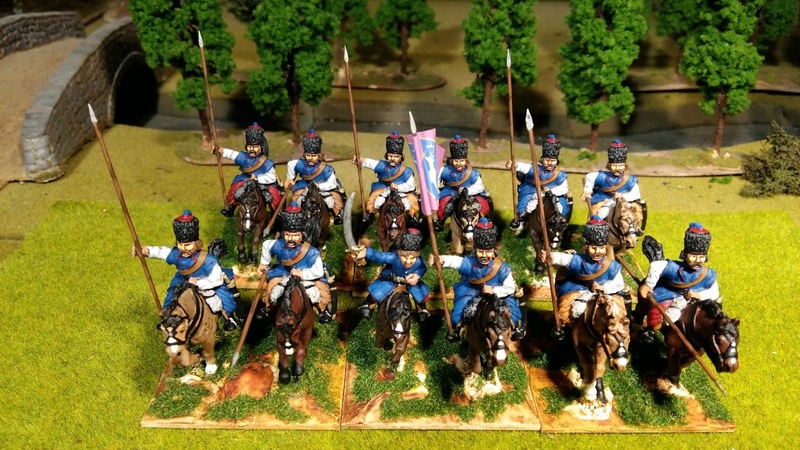 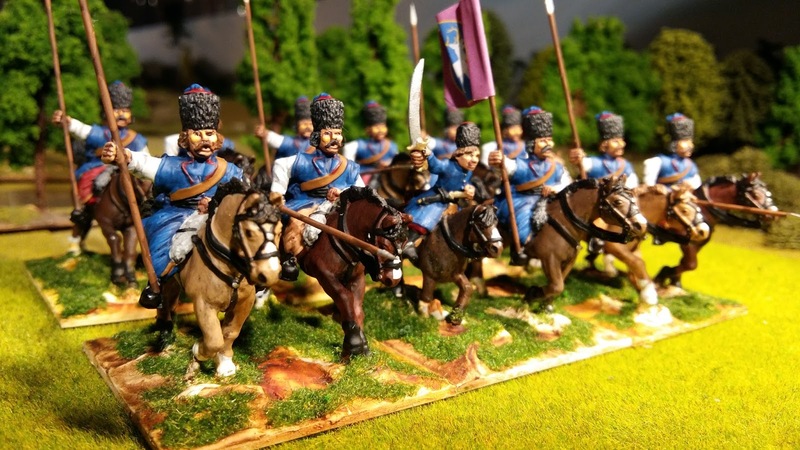 More Don Cossacks, this time from Front Rank. 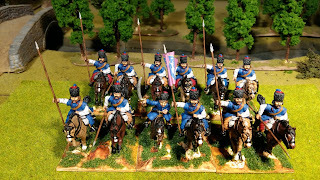 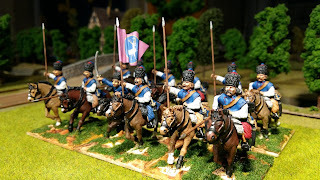 I have made these a more 'regular' looking unit to differ them from the others I have painted. 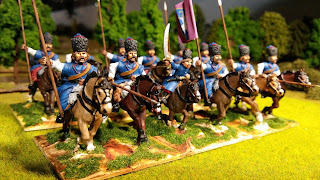 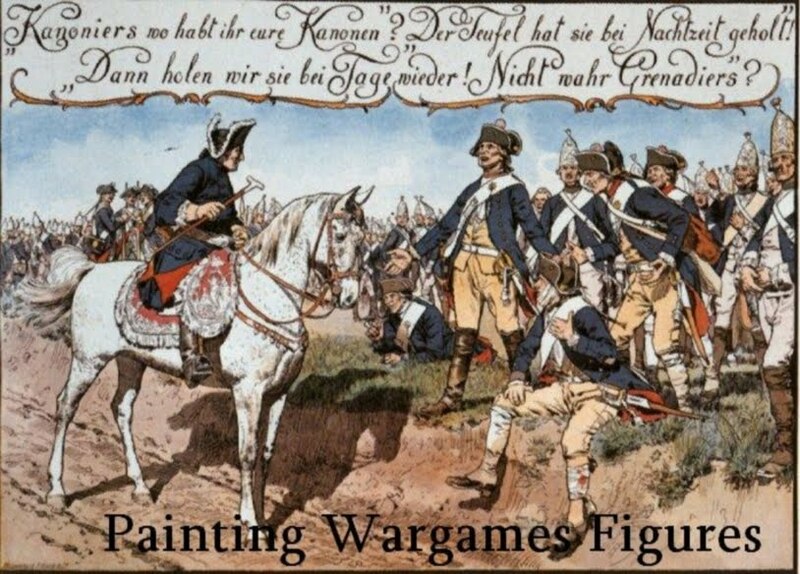 The FR figures are showing their age and you can see how large the horses are compared to the one officer's horse which is from Foundry.